McCullough points out this particular amendment ruffles all the tea-partiers feathers because it allows for so called “anchor babies,” or children born of undocumented immigrants to become naturalized citizens. McCullough points out how not only do both candidates want to repeal this amendment, but that both would be in favor of an end-run around repealing the amendment by using legislation. You know, speeding up such a long, drawn out, and democratic process designed by the founding father themselves in favor of just letting congress create its own Constitutional loophole. “They want to ‘reinterpret’ the Constitution by act of Congress! Sorry guys, but Congress does not have that power. The plain language of the Constitution says ‘all persons.’ Is that hard to understand? 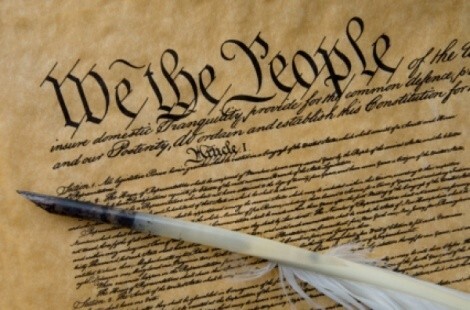 Amend it if you must, but do not tell us that the Constitution does not say what it says."